Discussions on international environment and development issues. What does it take to be a productive researcher? 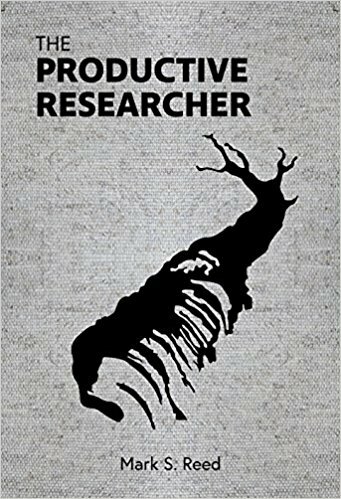 A review of Mark S. Reed’s ‘The Productive Researcher’. 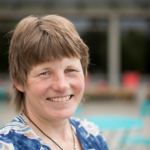 Written by Siri Eriksen. I want to focus on a kind of productivity that gives you a sense of satisfaction on a fundamental level, and that is as much about who you are outside work, as it is about who you are as a researcher. This is an enticing promise in a sometimes disillusioning academic environment of ever increasing demands on our time and attention that detract from our ‘real job’ of engaging in new knowledge and deep reflection. Can this book help me reconnect with my motivation and ‘inner drive’, or will it highlight my inability to work as quickly and productively as others (who are also happier in the process), and hence serve to exacerbate a sense of failure? The book is compelling reading from the first page to the last, with descriptions of easily recognizable dilemmas and pitfalls in academia, as well as practical solutions to them. While the text itself is easy reading, the contents suggest there are no quick-fix magical solutions. Some of the work required is deeply personal. The core message of the book is the need to identify and reconnect with our value-based motives in order to prioritise work tasks (and regain a work/life balance), and consistently carve out time for the tasks we find most important and meaningful. Reed concedes that one might not have more than 1-2 days for deep and uninterrupted reflective work in a year. As such, the book does not represent an attempt to fight such structural problems in academia, but rather describes a number of methods to work around them in a more meaningful way. These methods – whether about how to find goals that inspire you, how to write a literature review in a week, or how to spend less time on emails and meetings – are all contingent on understanding our motives and how they are connected to our values. For example, in order to avoid being hostage of other people’s expectations and our own need to fulfil them in order to be liked, the book explains how to identify unhelpful stories (such as ‘I am a failure’) and instead discover and embed empowering stories about ourselves and our abilities. Reading a book will seldom in itself change someone’s work situation. The suggested techniques all demand hard work, and are perhaps most usefully carried out together with colleagues, as suggested by Reed. I did find one aspect of the book confusing: a key argument is that if you are able to stop focusing on productivity in the eyes of others, and instead be driven by your own value-based motivation, you will be happier and also more productive. With frequent references to publications, citations, high level presentations and other very visible achievements, I am sometimes left in doubt about whether inner motivation and work satisfaction is a main objective or merely a tool towards super-productivity as measured by quantitative standards. Nevertheless, this book introduces important reflections and practical methods that are useful in my process to redirect my focus to what is important and extract myself from the bog of distractions that constitute the normal workday. A few more examples of where attempts to follow the suggested practical methods have gone wrong – as they undoubtedly will for me – and how to redress such failure would have been useful. In answer to my initial question: Yes. ‘The Productive Researcher’ by Mark. S. Reed. Fast Track Impact (2017). Arianna Boren on Police, Violence and Fiesta in Nicaragua: First Impressions on Community-Based Policing. Comments are welcome and encouraged. Since spammers find increasingly sophisticated ways to spam blogs, comments will be moderated and there may be a delay before comments appear. Copyright © 2019 Noragric blog. Powered by WordPress and Stargazer.